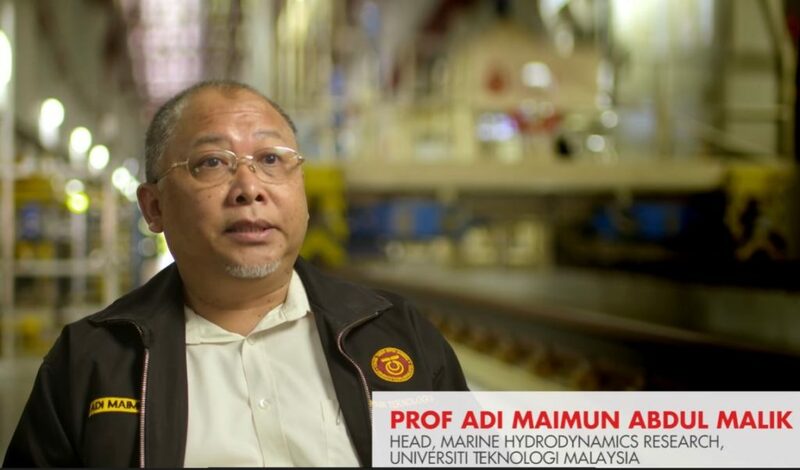 Prof. Dr. Adi Maimun is a Professor of Naval Architecture at the Dept. of Aeronautics, Automotive and Ocean Engineering, Faculty of Mechanical Engineering. He was Head of Marine Laboratory (1986-1989), Head of Panel for Marine Technology (1999-2000), Head of Department for Marine Technology (2000-2007) and the Deputy Dean (Development) for the Faculty of Mechanical Engineering (2007-2011). Head of Marine Hydrodynamics Research Group at the Marine Technology Centre, UTM (2010-present). Specializes mainly in the field of Marine Vehicles/Structures Dynamics using CFD, Time domain simulations and experimental work. He had taught, conducted research and consultancy work in the said field and had published over 50 papers in conferences and journals. One of his research project is the Shell Malaysia’s Malikai Deepwater Tension Leg Platform project, a collaboration of UTM marine technology lab and SHELL through working to overcome the technical challenge of vibration, have developed new technologies that will be used in Shell’s future deepwater rigs around the world. Using ground-breaking technology to develop previously inaccessible oilfields, the Malikai deepwater Tension Leg Platform project is the first of its kind in Malaysia. Operating at a depth of 500m, the platform is capable of producing 60,000 barrels per day .In the deepwater operation of oil and gas, it is quite essential to use production platforms such as the Tension Leg Platform (TLP) to connect to the seabed where we will transport the oil or gas. Usually the operation will use risers. And basically risers are very slender pipes and these pipes are very long in deepwater, maybe up to 1,000, 2,000m. Freezing temperatures, total darkness and crushing water pressure makes it difficult to extract energy from deep water and thus, one of the major technical challenges is vibration. Through Malkasi TLP project, Shell collaborated with the Universiti Teknologi Malaysia’s marine technology laboratory to overcome the issue of vibration. Tests were carried out to develop new technologies to be used in Shell’s future deepwater rigs around the world. Scale models of risers are fitted with different fairing designs and are towed down the tow tank at various speeds to simulate different deepwater ocean current conditions. And data is then collected and analysed to identify the most efficient design for Malikai’s specific ocean environment.